Many mobile gamers still fancy Flipping burgers and a twist of strategy added to it, which is why G5 Entertainment released its third installment of the Stand O’Food series in the App Store for both iOS devices and the Androids. Ronnie the Chef is back in his Stand O’Food chain in Tinseltown where he meets Mr. Clarence and Nikki with whom he hooks up to tackle the evil Mr. Torg. Let’s see if your burger flippin’ skills are good enough to flip this troublesome douche! Stand O’Food 3 is now available for iPhone/iPod Touch and iPad. If you’ve even heard of an iPhone, there’s no doubt you’ve heard of angry birds, which is, by now no doubt the most recognised “casual game” in existence, and perhaps even the most widely available game currently available for mobile or social platforms. For those of you unaware, angry birds is a physics based game released in December, 2009. The game focuses around launching “angry” birds of different colour and type into makeshift buildings with structure and materials which differ from level to level filled with pigs. The creativity behind this game is truly inspirational. Where do people think of such great ideas like this? It’s such a good concept and I wish I had thought of it first… but credit is given where it’s due to Launching Pad Games for an exciting and more importantly FUN game, which is how games on the iPhone should be. We’ve all played Tetris, and we all know how it works. No doubt there are a countless number of Tetris apps for the iPhone. 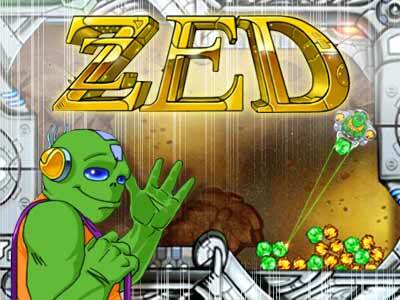 But with Zzed, Nevosoft have given us Tetris with a twist. And oh yes, they’ve done it well. Are you looking for a game which makes you need the toilet every 15 minutes? Worry ye not, Fatal League is here, adopting a medieval music soundtrack which features what can only be described as running water… Nitpicking here I know, but is it really necessary? Maybe it’s just me, but attacking cute, fluffy, pink rabbits on Bunny Shooter isn’t quite as gratifying as annihilating those patronising pigs on Angry Birds. It just makes me feel bad. They’re bunnies! But once I got past my self-righteous moral concerns and actually started popping some caps, one thing became very clear…. The afterlife has been thrown into disarray with demons and angels scattered about the universe. It is your job, in Angel Bounce, to restore the powers that be to their rightful afterlife locations. Angels and demons both fall from the sky and you, acting as a cloud, choose to bounce the angels back to heaven and allow the demons to fall to the depths of hell. The story line is interesting; basically there has been a cosmic upset and angels and demons have been bounced around. They need to get back to their rightful homes and it is your job to get them there. Right after Apple announced new Game Center and its November release, Firemint sent us an email to let you know that it will seamlessly incorporate Apple Game Center features into its hit games Flight Control and Real Racing via the Cloudcell platform. The Game Center features for these games will be available on the supported devices (iPhone 3GS, iPhone 4 and iPod touch 3rd and 4th generation), and will also be mirrored on Cloudcell to offer the same features to the non-supported devices. The Game Center features should be introduced right after Game Center is released, updates will of course be free. Firemint will seamlessly incorporate Apple Game Center features into its hit games Flight Control and Real Racing via its Cloudcell platform. The features will be available on supported devices (iPhone 3GS, iPhone 4 and iPod touch 3rd and 4th generation), but will also be mirrored on Cloudcell whenever possible to offer similar functionality on older devices. Features such as achievements and leaderboards will be available in the game itself, on the Cloudcell web site or via Game Center. We hope Game Center features will be available in our games (as free updates) as soon as Game Center is released.